Need Follow Me is a small unit leader tactical training game developed by Decisive-Point, specifically designed to support the instruction of junior officers in the art of tactical command. 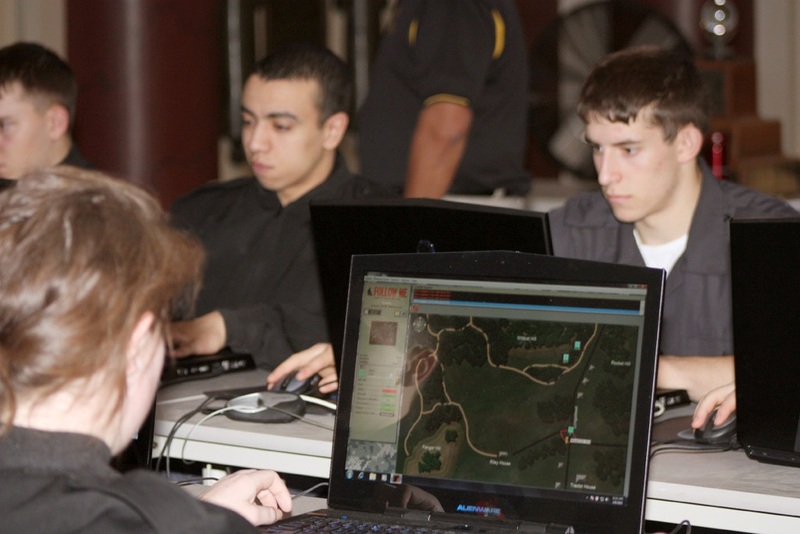 Since 2008, it has been used by thousands of cadets at the United States Military Academy at West Point, and the Follow Me game is their primary military leadership training simulation. Although designed to be simple to operate and easy to learn, the game environment challenges the military student’s ability to rapidly assess a dynamic situation, make sound decisions, and effectively direct subordinate units. Part of its strength lies in accumulated experience gained over many exercises, where cadets typically complete each exercise in fifteen or twenty minutes. 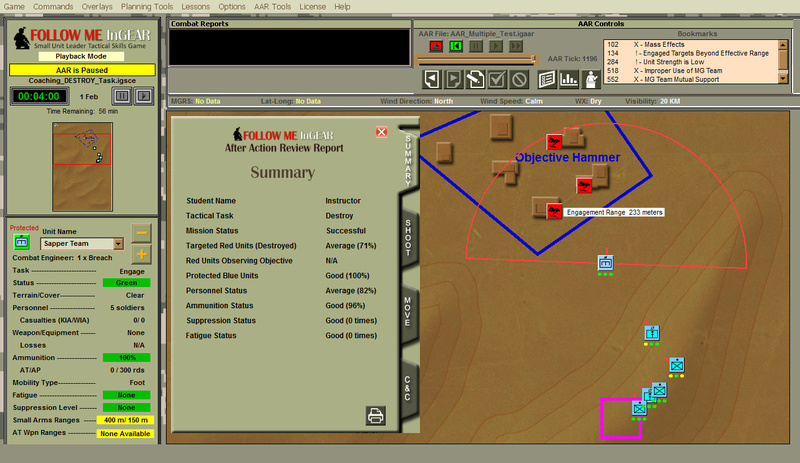 In current use, most Follow Me exercises include an instructor-led training sequence where lessons learned are discussed after exercises, facilitated by in-game after action review (AAR) playback utilities. Instructors ask questions or provide carefully worded comments to facilitate discussion and the students’ understanding of what happened, why it happened, whether it was doctrinally correct or not, and how it affected the outcome of their mission. This is an extremely valuable process for learning, because of the individualized assessment and feedback. However, the opportunities are limited due to time constraints on instructors, and so only a fraction of the cadets in a class can receive this direct feedback on their solutions. This has presented the need for an intelligent adaptive trainer that allows each learner to go through multiple exercises and receive tailored feedback every time. Solution Stottler Henke and Decisive-Point teamed to develop InGEAR (Intelligent Game-based Evaluation And Review), an intelligent tutoring extension to the Follow Me game. The compact format of the Follow Me game lends itself very well to the integration of an adaptive training capability, because of the modular nature and composability of exercise scenarios. The benefits of tailored learning and scenario-based training have been widely documented. Intelligent tutoring technology provides a means to provide these training benefits in an automated way, monitoring individual trainee actions and decisions, identifying their unique errors, and providing coaching or feedback in real-time or after action debriefing. This offers the additional benefit of untethering the training from instructors, allowing for self-directed learning, practice, re-training, and enhancement in a variety of settings. Status The final capability was delivered to the U.S. Military Academy in September 2013. Related Applications In addition to InGEAR’s instructional functionality, an authoring capability was delivered to ensure that instructors can continue to easily construct and modify their own scenarios and also control how the additional automated instructional features will operate. The results of this effort are also applicable to related tactical decision making games such as Crucible of Command, a variant of Follow Me that is currently being used at the U.S. Army Captains Career Course.